As women there is no shortage of obligations by which we are consumed. Taking care of: the house, the kids, the spouse, the business, the friends, the finances, the parents, etc. As a gender we are stretched way too thin. It’s exhausting. It’s unhealthy. And it’s unnatural. We know it, our loved ones know it, humanity knows it. Hi! I'm Marcia (the one in the middle). In 2015 I fully embraced my super power of being able to encourage female solopreneurs of the importance of reconnecting to their true selves through the Charmed Cardinals secret society and our annual Connector Conferences. Our membership believes that if you are going to be alright for everyone else, you gotta get right with yourself first. And that starts with taking time and connecting with you in an intentional way. We know you are out there doing the most for everyone else so we got you girl. We make “me time” super simple for you by doing all of the leg work. You just have to show up (don’t worry, we have virtual meetings now too!). It’s that simple! Since the Charmed Cardinals secret society started initiating members in August of 2015 we have been providing members in the Washington DC area with a recurring schedule of multiple monthly opportunities to self prioritize. And with our revamp in May 2019 we are going full throttle to provide this community to more women who need it. It is the Charmed Cardinals mission as a society to enable our members to make themselves their top priority via active engagement in our positive and encouraging community. Our members heal and grow as they embrace the idea that it’s ok to prioritize oneself first. Learning or relearning reconnection to self is what allows our members to show up for BOTH their heart centered businesses AND their relationships with others in a fulfilled, nurturing way. But this reconnection to self ALL starts with YOU. I invite you to become a member of Charmed Cardinals and give yourself permission to prioritize reconnecting with yourself, to strengthen your relationships, and to continue evolving in our community of like minded women. 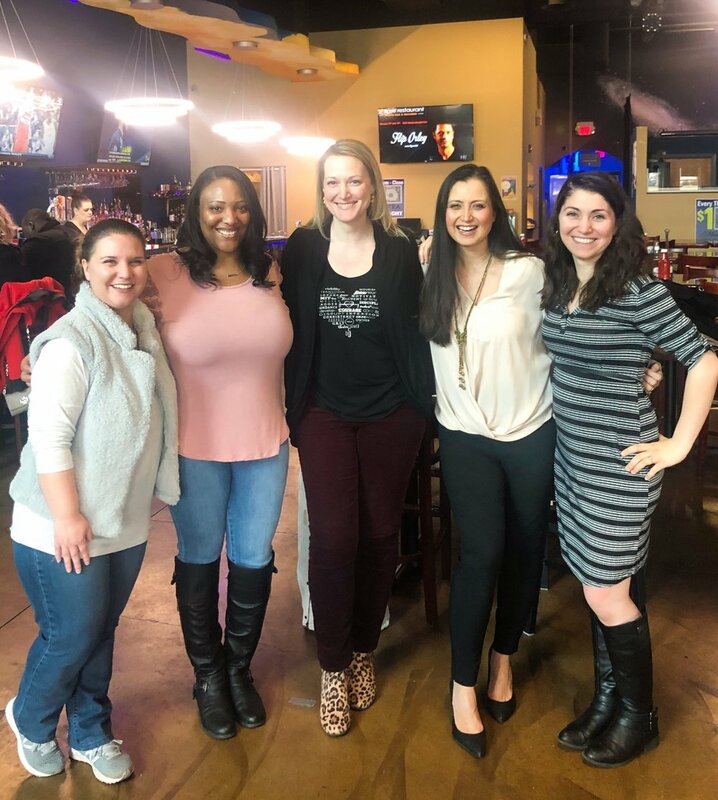 Since our society started in 2015 we have focused on providing an outlet for women so they can reconnect with themselves in a supportive group setting. Although to date the majority of events were in-person we have revamped the society and effective May 1, 2019 we are heavily focusing on virtual as a means to bring this movement to more women around the world. In addition to our virtual meetups we will also continue hosting in-person experiences and retreats that members have access to attend. Who is the Most Important Person Here? You are! We have created this society for women to intentionally reconnect with themselves. What does that mean? You get to be seen and heard. You get to show up how you see fit and let people get to know the real you while you also get reacquainted with her. If you aren’t constantly checking in with yourself and scheduling in your “me time” then resentment and burn out are just steps away. We dont want that for you. You are way too important and you deserve more from this life. Let us help you get back to home within yourself. It will improve your business, your relationships, and the world. We’re sure of it. We send out a society eNewsletter on the first of each month. On the 15th of each month we send out a conference eNewsletter that features one of our members. In addition to those resources you can find our Founders Wednesday’s Writing here. Although Charmed Cardinals is designed to fulfill each individual member by getting her to reconnect with herself, she also gets the benefit of being surrounded by a group of the most sincere and awesome women ever. The majority of our members are entrepreneurs with growth mindsets that “do the most” and need that occasional reminder to put herself first. Being an active member within this sisterhood of like minded women makes it easier to remember. Plus our society calendar always has something just days away that you’ll be reminded of so you can jump in and fill your cup. Our membership is virtual so anywhere with WiFi will get you into the Zoom sessions and our secret members only Facebook group. Our in-person meet ups are located in Fairfax, Loudoun and Prince William counties. Retreats are held in Occoquan, VA or Deep Creek Lake, MD.